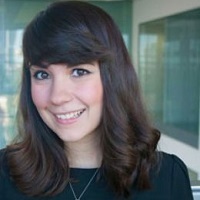 Fabiana Lorencatto is a health psychologist specialising in behaviour change and implementation research. Fabiana joined City University in 2013. She previously worked at the Centre for Outcomes Research and Effectiveness at University College London. Fabiana obtained her BSc (Hons) Psychology at University College London (UCL) and her MSc in Health Psychology at the Institute of Psychiatry, King's College London. Following her MSc, Fabiana worked as a research associate for the National Centre for Smoking Cessation and Training at UCL. She then went on to complete her PhD in Clinical, Educational, & Health Psychology at UCL. Her PhD work concerned the translation of evidence into practice for smoking cessation behavioural support interventions, with a specific focus on developing novel methods for evaluating fidelity and quality of intervention delivery. Fabiana currently works as a Research Fellow on a NIHR funded program of research aiming to develop and evaluate enhanced audit and feedback interventions to reduce unnecessary blood transfusions. She currently also holds a honorary post-doctoral research fellow post with Centre for Outcomes Research and Effectiveness at UCL, continuing work related to her PhD regarding the evaluation and improvement of the implementation of smoking cessation behavioural support interventions in clinical practice. Fabiana's main research interest is implementation science, with a specific focus on factors influencing the translation of effective behaviour change interventions into wider clinical practice. She is also interested in designing and evaluating behaviour change interventions in a range of clinical areas, including smoking cessation and blood transfusion practice, and how research findings may influence policy and training of health care professionals. Her current principal research activity concerns the development of enhanced audit and feedback interventions to reduce unnecessary blood transfusion practice. - Application of behaviour change technique (BCT) and taxonomy methodology to specify intervention components. Application of taxonomies to identify and categorise the component BCTs comprising interventions in a range of clinical areas; training new coders in the use of taxonomy methodology; further developing taxonomy methodology through adaptation and refinements of BCTs. - Process evaluations of complex behaviour change interventions. Development of novel methods to assess dimensions of fidelity and quality of intervention delivery. - Identifying barriers and facilitators to changing health care professional's behaviour. Application of the theoretical domain's framework to identify barriers and facilitators to changing health care professionals' behaviour in a range of clinical areas. - Smoking cessation behavioural support interventions (general). Evaluating aspects related to the implementation of behavioural support interventions in the NHS Stop Smoking Services. Also interested in the development and evaluation of training of health care professionals to deliver smoking cessation behavioural support. - Smoking cessation behavioural support interventions in pregnancy. Specific interest in BCTs and behavioural support interventions tailored to pregnant smokers. Also involved in research investigating factors influencing midwives' engagement with pregnant women regarding smoking cessation. Further information: Co-Supervisor, PhD Health Psychology student. Gainforth, H., Lorencatto, F., Erickson, K., Baxter, K.L., Kinetics, H., Owens, K. … West, R. (2017). USE OF STATE SPACE GRIDS TO CHARACTERIZE DYADIC INTERACTIONS IN SMOKING CESSATION COUNSELLING SESSIONS: A FEASIBILITY STUDY. Roberts, N., Lorencatto, F., Manson, J. and Jansen, J. (2015). Identifying the barriers and facilitators to transforming a university hospital into a Major Trauma Centre: A qualitative case study using the Theoretical Domains Framework. JaKa, M.M., French, S.A., Wolfson, J., Jeffery, R.W., Lorencatto, F., Michie, S. … Sherwood, N.E. (2017). Feasibility of standardized methods to specify behavioral pediatric obesity prevention interventions. Journal of Behavioral Medicine, 40(5), pp. 730–739. doi:10.1007/s10865-017-9845-z . Forman, J., Harris, J.M., Lorencatto, F., McEwen, A. and Duaso, M.J. (2017). National survey of smoking and smoking cessation education within UK Midwifery School curricula. Nicotine and Tobacco Research, 19(5), pp. 591–596. doi:10.1093/ntr/ntw230 . Gainforth, H.L., Lorencatto, F., Erickson, K., West, R. and Michie, S. (2016). Characterizing clients' verbal statements in behavioural support interventions: The case of smoking cessation. British Journal of Health Psychology, 21(3), pp. 600–612. doi:10.1111/bjhp.12188 . Lorencatto, F., West, R., Bruguera, C., Brose, L.S. and Michie, S. (2016). Assessing the Quality of Goal Setting in Behavioural Support for Smoking Cessation and its Association with Outcomes. Annals of Behavioral Medicine, 50(2), pp. 310–318. doi:10.1007/s12160-015-9755-7 . Roberts, N., Lorencatto, F., Manson, J., Brundage, S.I. and Jansen, J.O. (2016). What helps or hinders the transformation from a major tertiary center to a major trauma center? Identifying barriers and enablers using the Theoretical Domains Framework. Scandinavian Journal of Trauma, Resuscitation and Emergency Medicine, 24(1). doi:10.1186/s13049-016-0226-3 . Gardner, B., Smith, L., Lorencatto, F., Hamer, M. and Biddle, S.J.H. (2016). How to reduce sitting time? A review of behaviour change strategies used in sedentary behaviour reduction interventions among adults. Health Psychology Review, 10(1), pp. 89–112. doi:10.1080/17437199.2015.1082146 . Brose, L.S., McEwen, A., Michie, S., West, R., Chew, X.Y. and Lorencatto, F. (2015). Treatment manuals, training and successful provision of stop smoking behavioural support. Behaviour Research and Therapy, 71, pp. 34–39. doi:10.1016/j.brat.2015.05.013 . Michie, S., Lorencatto, F. and West, R. (2014). FROM EVIDENCE TO PRACTICE: USING BEHAVIOR CHANGE TECHNIQUE IDENTIFICATION TO ASSESS THE FIDELITY OF BEHAVIORAL SUPPORT FOR SMOKING CESSATION. ANNALS OF BEHAVIORAL MEDICINE, 47. Sarkar, B.K., Shahab, L., Arora, M., Lorencatto, F., Reddy, K.S. and West, R. (2014). A cluster randomized controlled trial of a brief tobacco cessation intervention for low-income communities in India: Study protocol. Addiction. Lorencatto, F., Stanworth, S.J. and Gould, N.J. (2014). Bridging the research to practice gap in transfusion: The need for a multidisciplinary and evidence-based approach. Transfusion, 54(1), pp. 2588–2592. doi:10.1111/trf.12793 . Martin, J., Chater, A. and Lorencatto, F. (2013). Effective behaviour change techniques in the prevention and management of childhood obesity. International Journal of Obesity, 37(10), pp. 1287–1294. doi:10.1038/ijo.2013.107 . Lorencatto, F., West, R., Stavri, Z. and Michie, S. (2013). How well is intervention content described in published reports of smoking cessation interventions? Nicotine and Tobacco Research, 15(7), pp. 1273–1282. doi:10.1093/ntr/nts266 . Lorencatto, F., West, R., Christopherson, C. and Michie, S. (2013). Assessing fidelity of delivery of smoking cessation behavioural support in practice. Implementation Science, 8(1). doi:10.1186/1748-5908-8-40 . Lorencatto, F. and West, R. (2013). A Method for Assessing Fidelity of Delivery of Telephone Behavioral Support for Smoking Cessation. Journal of Consulting and Clinical Psychology. Lorencatto, F., West, R., Seymour, N. and Michie, S. (2013). Developing a method for specifying the components of behavior change interventions in practice: the example of smoking cessation. Journal of consulting and clinical psychology, 81(3), pp. 528–544. doi:10.1037/a0032106 . Lorencatto, F., West, R. and Michie, S. (2012). Specifying evidence-based behavior change techniques to aid smoking cessation in pregnancy. Nicotine and Tobacco Research, 14(9), pp. 1019–1026. doi:10.1093/ntr/ntr324 . Barriers to early physical rehabilitation in critically ill patients- a theoretically informed semi-structured interview study. Critical Care Canada Forum, Toronto, Canada (2014). Description: Goddard, S., Lorencatto, F., Koo, E., Needham, D., Kho, M., Rubenfeld, G., Rose, L., Fan, E., Francis, J. J., & Cuthberston, B. A framework for specifying the target behaviours in behaviour change research. UK Society of Behavioural Medicine Conference (2014). Description: Francis, J.J., Lorencatto, F., Gould, N., Presseau, J., & Grimshaw, J. From evidence to practice: using behaviour change technique identification to assess the fidelity of behavioural support for smoking cessation. Society of Behavioural Medicine Conference, Philadelphia, USA. (2014). Description: Michie, S., Lorencatto, F., & West, R.
Improving fidelity to treatment manuals in smoking cessation using behaviour change technique (BCT) analysis, feedback and goal-setting: a pilot study. Society for Research on Nicotine and Tobacco, Seattle, Washington, USA. (2014). Blood transfusion as perceived by patients and health care professionals. School of Health Sciences Doctoral Research Conference. City University London, UK. (2014). Description: Abdul-Aziz, B., Lorencatto, F., & Francis, J.J.
Patients’ and Health Care Professionals’ Perceptions of Blood Transfusion: A Study Protocol. Psychology Postgraduate Affairs Group (PSYPAG) Annual Conference, Cardiff Metropolitan University, UK (2014). How do patients and healthcare professionals perceive blood transfusions? A systematic review. UK Society of Behavioural Medicine Conference, Oxford, UK. (2014). Description: Abdul-Aziz, B., Lorencatto, F., & Francis, J. J. What helps or hinders healthcare professionals’ response to audit and feedback to improve blood transfusion practice? UK Society of Behavioural Medicine Conference, Oxford, UK. (2014). Description: Gould, N.J., Lorencatto, F., Prior, M.E., Michie, S., Stanworth, S.J. & Francis, J.J.
Identifying the barriers and facilitators to transforming a university hospital into a Major Trauma Centre: A qualitative case study using the Theoretical Domains Framework. London Trauma Conference, London, UK. (2014). Description: Roberts, N., Lorencatto, F., Mason, J., & Jansen, J. Applying theory to enhance an existing intervention: the example of audit and feedback in blood transfusion. UK Society of Behavioural Medicine Conference, Oxford, UK. (2014). Description: Lorencatto, F., Gould, N.J., Stanworth, S.J, Michie, S., & Francis, J.J.
Association of training and treatment guidelines with successful provision of stop smoking support. Oxford, UK (2013). Description: Brose, L., Lorencatto, F., West, R., & McEwen, A. (2013) UK Society of Behavioural Medicine Conference, conference presentation. Assessing quality of goal setting in smoking cessation behavioural support interventions delivered in practice and associations with quit attempts. Oxford, UK (2013). Description: Lorencatto, F., West, R., Bruguera, C., & Michie, S. (2013) UK Society of Behavioural Medicine Conference, conference presentation. BCT Taxonomy V1: from laboratory to policy. Oxford, UK (2013). Description: Michie, S., Johnston, M., Abraham, C., Francis, J., Hardeman, W., Wood, C., Lorencatto, F., & West, R. (2013) UK Society of Behavioural Medicine Conference, conference presentation. Identifying behaviour change techniques in cost-effective interventions targeting five health behaviours: smoking, diet, physical activity, alcohol use and sexual health. Oxford, UK (2013). Description: Beard, E., Lorencatto, F., Gardner, B., Owen, L., West, R., Michie, S., & Shahab, L. (2013) UK Society of Behavioural Medicine Conference, conference presentation. Methods for assessing fidelity and quality of delivery of smoking cessation behavioural support in practice. London, UK (2013). Description: Lorencatto, F., West, R., Bruguera, C., & Michie, S. (2013) UK National Smoking Cessation Conference, conference presentation. Using behaviour change technique (BCT) analysis to improve fidelity to treatment manuals in smoking cessation: A case study. London, UK. (2013). Description: Bonevski, B., Twynman, L., Lorencatto, F., Michie, S., & West, R. (2013) UK National Smoking Cessation Conference, conference presentation. The development and feasibility of an enhanced audit and feedback intervention to increase the uptake of evidence-based transfusion practice (AFFINITIE study). Oxford, UK (2013). Description: Gould, N., Francis, J., Prior, M., Glidewell, L., Michie, S., Lorencatto, F., Foy, R., Grant-Casey, J., Rowley, M., & Standworth, S. (2013) UK Society of Behavioural Medicine Conference. Conference presentation. Behaviour Change Techniques: a reliable method for specifying the content of complex behaviour change interventions. Glasgow, UK. (2012). Description: Lorencatto, F., & Johnston, M. (2012) Invited training workshop at the BPS Division of Health Psychology Scotland Conference. Fidelity of delivery of telephone-based smoking cessation behavioural support. Manchester, UK (2012). Description: Lorencatto, F., West, R., Bruguera, C., & Michie, S. (2012) UK Society of Behavioural Medicine Conference. Conference presentation. Assessing fidelity of delivery of smoking cessation behavioural support delivered in practice. Liverpool, UK (2012). Description: Lorencatto F., West, R., Christopherson, C., & Michie, S. (2012) BPS Division of Health Psychology Conference. Conference presentation. Are smoking cessation behavioural support interventions delivered as intended? Assessing fidelity of delivery in NHS Stop Smoking Services. Birmingham, UK (2012). Description: Lorencatto, F., West, R., Christopherson, C., & Michie, S. (2012) UK National Smoking Cessation Conference. Conference presentation. Identifying behavior change techniques comprising behavioural support interventions delivered in practice. Houston, Texas (2012). Description: Lorencatto, F., West, R., Seymour, N., & Michie, S. (2012) Society for Research in Nicotine & Tobacco Conference, Houston. Conference presentation. Stop Smoking Practitioners self-reported use of evidence-based behavior change techniques. Houston, Texas (2012). Description: McEwen, A., Lorencatto, F., Michie, S., & West, R. (2012) Society for Research in Nicotine & Tobacco Conference. Conference presentation. Marital Status influences the efficacy of brief gratitude interventions. Athens, Greece (2012). Description: Smyth, N., Lorencatto, F., Steptoe, A., & Dockray, S. (2012) American Psychosomatic Society Conference. Conference presentation. Assessing the reporting of intervention content for smoking cessation behavioural support interventions. Stirling, UK (2011). Description: Lorencatto, F., West, R., Stavri, Z., & Michie, S. (2011) UK Society of Behavioural Medicine Conference. Conference presentation. Developing a method for specifying the content of complex behavior change interventions in practice: the example of smoking cessation. Crete, Greece (2011). Description: Lorencatto, F., West, R., Seymour, N., & Michie, S. (2011) European Health Psychology Society Conference. Conference paper. Behaviour change techniques used in randomized controlled trials of obesity prevention and treatment in children: a systematic review. Southampton, UK (2011). Description: Martin, J., Chater, A., & Lorencatto, F. (2011) BPS Division of Health Psychology Conference. Conference presentation. Conference presentation. Methods for identifying behavior change techniques delivered in practice settings. London, UK (2011). Description: Lorencatto, F., West, R., Seymour, N., & Michie, S. (2011) UK National Smoking Cessation Conference. Conference presentation. Specifying evidence-based behavior change techniques to aid smoking cessation in pregnancy. Belfast, UK (2010). Description: Lorencatto, F., West, R., & Michie, S. (2010) BPS Division of Health Psychology Conference. Conference presentation. Description: Atkins, L., Michie, S., & *Lorencatto, F. (2013) invited workshop, UK Society of Behavioural Medicine Conference.